July 1, tomorrow, marks the beginning of free agency in the NBA. Free agency is typically the signing period that provides the most intrigue during the league year, and it also provides teams the chance to improve on last year’s showing and build a title contender. This year is no different, as there are plenty of key free agents that could be changing teams. This list will be the five most important free agents this year, not necessarily the best ones. So let’s get started, with the five most important NBA free agents this summer. Last season for the Bulls, player 1 averaged 17.7 points per game while shooting 40.5% from the field. Player 1 shot 28% percent from three-point range while also averaging 3.2 rebounds per game and 4.9 assists per game. In the playoffs, player 1 averaged 20.3 points per game while shooting 39% from the field to go along with shooting 34.8 percent from three-point range with 4.8 rebounds per game and 6.5 assists per game. Player 2, last season for the Bulls, averaged 20 points per game while shooting 46.2% from the field. Player 2 shot 37.8% from three-point range last season while averaging 5.8 rebounds per game and 3.3 assists per game. In the playoffs, player 2 averaged 22.9 points per game while shooting 44.1% from the field to go along with shooting 38.9% from three-point range with 5.6 rebounds per game and 3.2 assists per game. From last season alone, the stats suggest that player 2 should be “The Guy” going forward for the Bulls’ organization. Player 1 was Derrick Rose while player 2 was Jimmy Butler. Butler, then, it could be argued, was the most important player on the Bulls’ roster last season. Derrick Rose, at just 26, played only 51 games last season in his return from myriad knee injuries. And even then, D-Rose suffered another tear to his medial meniscus in February. If Rose cannot stay healthy consistently, the Bulls will have to turn to Butler to pick up the load offensively. Butler already takes care of much of the perimeter defense on that end, but his shooting and slashing ability with that defense is what gives him the most value to the Bulls, and those are the reasons why the Bulls need him. Gasol is a player that brings rim protection on defense and versatility on both ends of the floor. It would make sense why he would stay in Memphis: he has a good team, a great situation, and the chance to get more money, as the Grizzlies are allowed to offer him more money and tenure than any other team can. He is worthy of a max deal, and I would not be surprised if the Grizzlies give it to him. It doesn’t look like he’s going anywhere, but that doesn’t mean he isn’t important. Love is an incredibly important asset for the Cavaliers and their future. James needs the support offensively as he gets later and later in his career. He isn’t going to be able to score 35-40 points per game in the Finals every year; that’s why he needs Love and Kyrie Irving. Knicks star Carmelo Anthony has already called Aldridge, sources told ESPN The Magazine’s Chris Broussard. The Knicks will emphasize that in the Eastern Conference, the road to becoming an All-Star and a playoff team is much less clogged than in the West. ESPN.com reported in May that the Spurs and Mavericks strongly believe they’ll have a great shot to lure Aldridge back to his home state of Texas. But sources said last week that Aldridge is actually thinking more and more about a free-agent jump to the Lakers. The Lakers, sources added, firmly believe they will now be in the Aldridge hunt. And there is a rising sentiment, sources said, that the Lakers have edged past the Mavericks on Aldridge’s wish list even though he was a high school star in Dallas. The Spurs, sources say, continue to be Aldridge’s most likely destination if he goes through with the idea of leaving the Blazers to start anew. The contingent for San Antonio’s pitch to Aldridge is expected to include Tim Duncan, Tony Parker and Gregg Popovich, according to multiple media reports. The Knicks are not getting LaMarcus Aldridge. Their pitch of going to the Eastern Conference to win makes sense, but they take it too far when they insinuate that he is more likely to become an All-Star in the East. Take a guess who started at power forward in this year’s All-Star Game, on the West team. With the Knicks out of the picture, LMA is very likely to stay in the Western Conference. The Mavericks are an unlikely destination, as they already have an All-Star power forward in Dirk Nowitzki, and while Dirk is nearing the end of his career, putting the two together may not make the most sense. The Lakers are an obvious contender because they have holes to fill and are looking square in the face at a future without Kobe Bryant. With D’Angelo Russell drafted, Aldridge can come in and, post-Kobe, play a role similar to the one he had in Portland; being set up by a (potential) star point guard. Would he want that, though? The Spurs are the clear front-runner to land Aldridge, and even though they will have to part ways with Danny Green or Tiago Splitter to get him, the decision is a no-brainer. Tim Duncan is very likely to come back for at least one more season, and the Spurs could use a replacement for him if/when he retires. Aldridge can give Timmy room to work in the post and can space the floor with his jump shooting. The combination of big men makes perfect sense, and the Spurs should do everything in their power to get him, even if Gregg Popovich has an early bedtime. Duh. This one is self-explanatory. All reports seem to state that James is coming back to the Cavs, even though he may want to be sure that the organization is doing its part to improve the roster. He was carrying an entire team on his shoulders during the NBA Finals; he won’t want to go through that again. He is the best player in the world, and the Cavs will take no chances in re-signing him. What’s Wrong with the Seattle Mariners? Back in early April, when this blog was two days old, I did an MLB preview for this upcoming season. You can read it here, but to save you the time, I picked the Mariners to win the World Series. However, through almost three months of the season, it is looking less and less like the M’s will even reach the playoffs, as they are 34-41 and 8 games back of the first-place Astros. So how did a team with so much talent and promise become one struggling to stay out of the division basement? Let’s start with star 2B Robinson Cano. In Robby’s first season in the Pacific Northwest, he hit .314 and had a .382 on-base percentage. As a result of the Mariners having little support around him, he was intentionally walked 20 times, the fourth highest mark in baseball. This year, however, has been a far different story. Naturally, when the Yankees visited Seattle this week, the New York writers asked Cano if he regretted leaving the Bronx for the Pacific Northwest through free agency in 2013. Cano insisted he is happy in Seattle, but a lot of baseball people wonder if that’s true. Cano’s $240 million contract runs through 2023, so the Mariners better hope this is just a brief, forgettable blip in an otherwise distinguished career. One MLB analyst still has faith Cano can get on a roll and hit .300 with lots of doubles, but he wonders if Cano’s power outage isn’t a sign of things to come. “He looks like he might be turning into Jose Vidro,” the analyst said. Vidro played 12 seasons in the majors, 10 with the Expos/Nationals franchise. In the years of 1999-2004, Vidro averaged 16.5 home runs per season and hit at or near .300 in each of those seasons. However, in the last four years of his career from 2005-2008, Vidro averaged 6.8 home runs per year, and even though his batting average numbers stayed near the same in every year but ’08, he was never the same player. The Mariners’ prized offseason acquisition was DH slugger Nelson Cruz. He has been excellent, hitting 19 home runs and hitting over .300 in the process. He is not the problem with the lineup. There are many other issues with it, though, that don’t involve Cruz at all. If the Mariners want to get anything for Ackley, then it’s in their best interest to be able to market him as a second baseman as well as an outfielder. If Cano needs another couple nights off, then maybe that’s all the better. Too bad this team has a million DHs or they could even get Ackley some non-emergency infield reps.
Ackley has recently been deposed from his left field perch because of his struggles at the dish. His defense has been just fine, as he has not made any errors in the outfield this season. Ackley even has a negative WAR this season, which, according to Baseball-Reference, means that he can be replaced. And he has been replaced. Seth Smith, who is hitting better and is about the same caliber of defender as Ackley, has taken over left field recently and done just fine, as he hits .262 when he plays that position. Mark Trumbo was acquired on June 3 to help the thoroughly struggling offense, but he has not helped the cause, either. In 19 games in Seattle, he has hit .160 with an on-base percentage of .194. He and Cruz occasionally switch between DH and Right Field, depending on who needs a day off from playing defense. The Mariners need Trumbo to start producing, as the rest of the lineup has not done so and probably won’t. “Everybody loves Edgar,” Thiel said. “That’s, really, I guess, all the motivation behind it. “Edgar Martinez has never been a hitting coach or any kind of coach. So we don’t know whether he can convey the wisdom that he accumulated in a reasonable fashion. “I am certain that Edgar is going to be respected by guys like Robinson Cano and Nelson Cruz and, really, the young guys who all know the legend. But is he effective at communicating? “So often, superstar players – and I would consider Edgar one of the greatest hitters in baseball history – can’t convey what they know. They understand it so instinctively that sometimes it’s hard to offer that up and get people to respond to it,” Thiel said. I agree with the logic presented here. Martinez was a great hitter in his time, but can he get the secrets to his success across to his hitters? And how soon can he turn the lineup around, if he can at all? The Mariners’ starting rotation has not been too much of a problem. It hasn’t been great, either, but it isn’t the issue. Felix Hernandez has ten wins and leads the starting rotation in ERA, at 3.24. James Paxton has been good too, with a 3.70 ERA in just 10 starts. The main issue with the starting rotation has been the absence of Hisashi Iwakuma, who is very possibly the team’s second best pitcher. Iwakuma is close to return, but upon his return, it looks as if Seattle will have to send down one of their promising young pitchers in Roenis Elias or Mike Montgomery. Oddly enough, the Mariners were 7.5 games back of first place at this time last year. They are 8 games back now. The point is that there is still time for them to make a run and win the division, especially if the Astros begin to taper off. However, they have issues, ones that may not be able to be fixed this season. There is a lot wrong with the Seattle Mariners. Seven Royals. The number of Royals in the lead at their positions has actually decreased from eight, as Eric Hosmer was passed in the balloting by Miguel Cabrera at first base. The most ridiculous vote-getter from the Royals, however, resides at second base: Omar Infante. He is hitting .236 this year, has just 22 RBI, and has just three walks as opposed to 36 strikeouts. His fielding percentage ranks 15th in baseball at his position, so you can probably get my drift by now: he isn’t all-star game worthy. Another issue with the All-Star game voting turning up blue is how important this game is. It counts for home-field advantage in the World Series, and this is an issue that Commissioner Rob Manfred needs to fix, and soon. If the league wants to have a fun event for fans to vote (35) times on and jam the ballots on their computers, that would not be the end of the world. There is no denying that Royals fans have gotten the vote out for their players, but for a game that is so important, why are we leaving the vote to the fans? Keep the fan vote next year exactly as is. Continue to have the players vote, as they’ve done in the past. But once the votes are in, compare the two before announcing the teams. If the fans and players are at least close to being on the same page, nothing changes. But if the player picked by the fans to start doesn’t finish in the top three of the players’ balloting, that should automatically veto the fans’ choice. In that case only, the players’ selection should start. The only objection I heard to this idea, when I ran it past people in MLB, was a modification that would allow the fans’ choice to start if he’s in the top five — not the top three — of player balloting. That works for me, even though I’d prefer top three. What do you think? I think that’s a great idea. The people that actually know the game (the players) can have a veto card for the people that know the game less (the fans). In reality, even though I complain about the fans voting for their players to play in and/or start the game, it would be very difficult to remove them from the process entirely. They pay money to go to the ballpark, and their loyalty to the game should be rewarded in some way. That’s excessive. Not only are these teams avidly campaigning for their own players, they are even changing their Twitter names to #VoteRox or #Vote BlueJays, and etc. All of these teams have done enough All-Star campaigning recently to do both Democrats and Republicans proud. Fans can cast their votes for starters at MLB.com and all 30 club sites — on their computers, tablets and smartphones — using the 2015 Esurance MLB All-Star Game Ballot until Thursday, July 2, at 11:59 p.m. ET. For the first time, voting is exclusively online, where fans may submit up to 35 ballots. Fans may also receive the ballot by texting VOTE to 89269 (USA) or 101010 (Canada). Or text VOTA for a ballot in Spanish. Message and data rates may apply. Up to five messages. No purchase required. Reply STOP to cancel. Reply HELP for info. The concerns about fraud are especially high this year because Kansas City fans have voted nearly the entire Royals starting lineup in the All-Star Game. Royals fans say they just organized and mobilized well, and there is no chicanery involved. I’m sure the league is fine with Eric Hosmer, one of the best young first basemen in the game, starting. The fact that Omar Infante, who is batting .227, could start at second base is more a cause for concern. Seeing eight Royals start the All-Star Game would be a fun gimmick, but in the end, wouldn’t you just be watching a Royals game? I don’t want to insinuate that the Royals fan base did anything illegal or nefarious, but doesn’t it seem odd that that many ballots were discarded? My opinion on all this is that baseball should not allow its fans to vote even close to 35 times. They should be allowed to vote once, and that’s it. If our elections in this country don’t allow people to vote more than once, why is baseball letting us do this? This game counts for something, and we’re letting it become the National League vs. the Royals? This is bad for baseball, no matter what Commissioner Manfred or the league’s Public Relations staff may say. Williams’ first pitch and the All-Century Team in 1999 does not deserve this ridiculousness. I don’t blame Royals fans at all here. They did a great job of “getting their puppies organized”, as Bill Raftery would say, and voting for their guys. But a game that counts for home-field advantage in the World Series should not be subjected to this. As this article is being written, the Royals are leading their division and have the best winning percentage in the American League. If they get to the World Series and lose a Game 7 on the road, that would be sad and ironic at the same time. But it’s what they, and the game of baseball, deserve. I look forward to congratulating the 2015 US Open Champion very soon, I simply didn’t play well enough to be remotely close. This is not sour grapes or moaning or any of that crap. It simply the truth. Mike Davis the head of the @USGA unfortunately hasn’t spoke the truth about the conditions of the greens. I feel very sorry for the hundreds of greens staff who spent countless hours leading into this week and this week doing there best to have it the best they could and I thank them for that. But look at the picture. This was the surface we had to putt on. It is disgraceful that the @USGA hasn’t apologized about the greens they simply have said. “we are thrilled the course condition this week”. It wasn’t a bad golf course, In fact it played well and was playable. What wasn’t playable were the green surfaces. If this was a regular PGA tour event lots of players would have withdrawn and gone home on Wednesday, but players won’t do that for a major. They were simply the worst most disgraceful surface I have ever seen on any tour in all the years I have played. The US Open deserves better than that. And the extra money that they have earn’t this year from @FoxSports, they could easily have relayed the greens so we could have had perfect surfaces. Simply not good enough and deeply disappointing for a tournament of this magnitude. I don’t like it when people lie on camera to try and save face. And to all you fans that paid good money to try and watch us play golf but couldn’t see anything on most holes because it wasn’t possible to stand on huge slopes or see around stands, I apologize and I’m sorry you wasted your money traveling to be disappointed. I hope we all learn something moving forward to not have these problems in the future. Happy Fathers Day. And here is DJ for the tie and 18 holes the next day: This stunning sequence of events gave Spieth his first U.S. Open title and his second major title of the year, coming after the Masters in April. Some are comparing him to Tiger Woods and other great golfers of the past, and on the surface, these comparisons seem just. This is the list of golfers to win the first two legs of golf’s “Grand Slam” in the same year: Craig Wood-1941 Sam Snead- 1949 Ben Hogan- 1951, 1953 Arnold Palmer- 1960 Jack Nicklaus- 1972 Tiger Woods- 2002 However, Spieth is not the next Tiger, or Snead, or Hogan, or Jack, or Arnold. He is his own type of player, one who does not hit the ball very long off the tee but has mastered all the other aspects of his game. Spieth will be around as one of the best golfers in the game for a long time to come, but he doesn’t play like Tiger; not even close. We must also be careful to build up Spieth in advance of this year’s Open Championship at St. Andrews. The last time a player won the first two majors of the year (Woods in 2002), he went into that year’s Open as the heavy favorite. Many picked Tiger to win that year’s Open, which was held at Muirfield in Scotland. Woods went into the third round tied for 9th at -4, two strokes behind the leaders. Then this happened: Tiger shot 81 that day, and lost his shot at the Claret Jug in the process. Ernie Els would ultimately win the Jug that year. In the PGA Championship at Hazeltine National, Woods finished second and lost by one stroke to Rich Beem, and the win would turn out to be Beem’s only major title. Woods has also finished second or tied for second in majors before, but has lost to winners such as Michael Campbell, Zach Johnson, Angel Cabrera, Trevor Immelman, and Y.E. Yang, and all of those but Cabrera have not won a major since. The point here is that it will be so difficult for Spieth to win the last two majors of the year. With so many golfers in the field looking to take him down, it will be very difficult for Spieth to win even one of the last two majors. Spieth has played excellent golf over the past two months, and seems to come up clutch in big moments. However, there is one unmistakable truth that should come out of the U.S. Open. Jordan Spieth is not going to be golf’s first triple crown winner. Related: that’s okay. Scherzer’s combined line over his past two starts: 18 IP, 1 H, 1 BB, 1 HBP, 26 strikeouts. He has retired 54 of the past 57 batters he has faced. His game score for June 14 computed to 100. Scherzer’s game score for his no-hitter Saturday: Just 97. The difference? Probably the strikeouts — he got 16 against the Brewers, and “just” 10 against the Pirates. However, Scherzer would not get his no-hitter last Sunday and he would not get his perfect game on Saturday. How he lost his perfect game, however, is a matter of controversy. It is clear that Tabata did not get out of the way of the ball as it came in. It is also clear that Tabata actually made an active effort to get hit by the ball, as evidenced by his dropping his elbow as the ball drew near. However, if anyone should be to blame for Tabata being awarded first base, it’s the umpires. Not for nothing, but home plate umpire Mike Muchlinski was standing right there when it happened. He could have easily made the call that Tabata did not try to get out of the way of the ball. The pitch was clearly out of the strike zone, so Muchlinski could have called him back to the box and made the count 3-2. The errant slider to Tabata made Scherzer the first pitcher to lose a perfect game with a hit-by-pitch with two outs in the ninth inning since Hooks Wiltse in 1908. The Nationals did not argue the call. Manager Matt Williams said he didn’t consider stepping out of the dugout to talk to home plate umpire Mike Muchlinski because he didn’t want to mess with Scherzer’s rhythm. “That’d be a crying shame,” he said. He’s right. Messing with Scherzer’s rhythm at that point of the game would have been a mistake, and Scherzer may have lost his perfect game after the review. But without a challenge, the umpires should have still been able to confer and figure out the obvious fact that Tabata leaned into the pitch. The Pirates needed to string quite a few hits together for that to happen, but it is still a possibility, albeit a very slim one. Tabata just wanted to get on base to spark a rally for his team. He probably knew that he could be the last out of a perfect game, too, and he probably did not want that distinction. Many will look back on what happened and say that Tabata leaned into a pitch and ruined history for a pitcher who, although he may be the best in the game right now, may never get this chance again. He did both of those things on Saturday. But do you know what else he did? He could have easily mailed in the at-bat, which has happened before at the end of perfect games, no-hitters, or simple blowouts. However, in the grind of a 162-game season, in an at-bat at the end of a game Tabata knew his team would probably lose, he didn’t give up on the at-bat or his team. That’s admirable. Many people are to blame for Scherzer losing his perfect game. Count among them the umpires and even Scherzer himself. You could even blame Matt Williams for not challenging, but that is a more difficult case to make because Scherzer was one out away from still getting a no-hitter. However, I neglected to list an obvious culprit because he isn’t to blame here. His name is Jose Tabata. 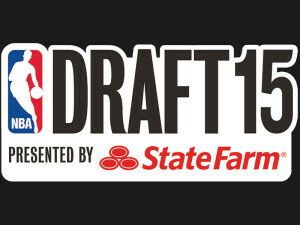 The NBA Draft is taking place next Thursday, June 25, at the Barclays Center in Brooklyn, NY. There has been a lot of buzz around this year’s draft for its fast risers (Cameron Payne, Kristaps Porzingis) and its droppers (Justise Winslow, Willie Cauley-Stein, Emmanuel Mudiay). There are other sources of intrigue in the draft that are unique to this year; we’ll explore those later. For now, let’s start with a big board of 50 players that should all be drafted on Thursday. You probably realized that my number one choice is not the common one. Rest assured, I can explain myself. I wrote this article in late May about why Russell is the best player. Another thing that I probably should explain in putting Justise Winslow at 4. Sure, we’ve all seen him take a jump shot and it’s not the prettiest thing in the world, but no one in this draft plays harder than he does. He may get hurt because of it, and his career may very well be shorter for it, but I want a player like him on my team for his competitiveness. A player you saw that I probably put very low is Kristaps Porzingis. While I think that his upside is fantastic, he needs quite a bit of time to develop, and he needs to go to a system that will allow him to play his unique game and an organization that gives him time to develop. I believe that the rest of the board does well to explain itself, and that parts of it will be explained more fully in the mock draft section of this article. Now to the fun part: the mock draft. 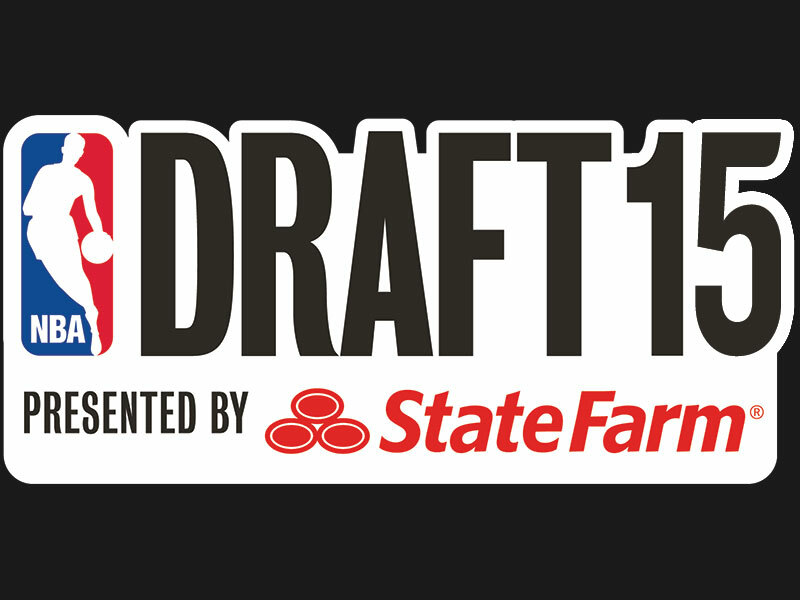 The mock draft will cover the first round in its entirety, and will provide which player is being drafted, who is drafting them, a brief description, and a pro player comparison for each drafted player. Who’s going where? Who’s rising? Who’s falling? I don’t know, but I’ll take my best guess here. So, here goes, my official 2015 NBA Mock Draft. It’s entirely possible that the Timberwolves could draft Jahlil Okafor at #1. The problem, however, is the contract of starting center Nikola Pekovic which makes Minnesota give up $12 million per year. This, coupled with weakness at the 4 position force the T’Wolves to go with Towns here. It’s not a guarantee, however. Towns is a good jump shooter who can also bang on the glass. His athleticism limits him, but he is still strong enough to back down NBA bigs. If you thought that dunk attempt was absolutely terrible, you’re right. However, Towns has potential on defense and as a rebounder. His strength will allow him to improve in this regard, and his high basketball IQ can’t hurt either. Towns has some issues in the post, especially with making moves there. Also, he gets into foul trouble on D and has a tendency to help when he shouldn’t. However, even though he can play very inconsistently at times, he has the potential to be a big-time NBA two-way big man. However, Okafor is a somewhat overrated defender, and his effort is very inconsistent at that end. He is also very slow, and his footwork cannot bail him out of every situation. He is very inexplosive, which does not help his prospects as a good NBA defender. However, he is one of the best all-around players in the draft, and I see the Lakers taking him at #2. Russell has some issues with his jump shooting and his athleticism, and these will force him to adjust parts of his game at the next level. He also doesn’t have the ability to finish with his right hand right now, and he needs to develop that. However, he is the best player in the draft for his scoring prowess and his high basketball IQ. He also rebounds very well for his position and makes plays others cannot because of his excellent size. Nonetheless, Philly gets an unselfish, all-around point guard who can, at worst, replace the scoring of the departed Michael Carter-Williams. This team still has a ways to go, which starts and ends with the health of big man Joel Embiid, but this is an awesome start. NBA analysts give me some diagnostics on how 3pt oriented teams are faring this playoffs…seriously, how’s it goink? Hopefully, if the Knickerbockers take Mudiay, all will be goink great by this time next year. Hezonja constantly talks trash to the opponent. He showboats after three-pointers. He hangs at the rim after dunks. And about those dunks: he absolutely never passes up the opportunity to do a windmill or a double clutch when he’s rumbling down the floor in transition. Here’s Hezonja not stopping with his team up 19 points with five seconds left on the clock. He should just run out the clock, but no. Instead, he’d rather establish himself as the alpha and put an exclamation point on Barcelona’s playoff victory. Hezonja’s greatest gift is his athleticism, and he is a good jump shooter who is very dangerous from outside. His arrogance (or confidence, depending on how you view him), is what stands out to many. he takes shots he probably shouldn’t, but that’s who he is. He has the confidence/arrogance of a Kobe Bryant. It will remain to be seen whether or not he is actually that good, but my guess is that he’s not. This is probably lower than you’ve seen Porzingis in any mock draft recently. However, I still see him going to Sacramento and not Orlando. The reason is simple: I don’t see the Magic giving up on Channing Frye and his 4-year, $32 million contract after year one. I also don’t see the Magic giving up on last year’s #4 pick, Aaron Gordon, and his potential to grow into a potential starting power forward in the NBA. The Kings, however, are a different story; while the Magic could use a power forward, a power forward is absolute necessity for the Kings. At their best last season, they were starting Jason Thompson. While they had success at the beginning of the season with him in the lineup, he only averaged 6 points per game and had a PER of 10.23, which ranked him 68th among power forwards. This is the position where they need the most help; at points last year, Rudy Gay was pressed into playing it. The Kings need him not just to fill a role but also to serve as a running mate for star big man DeMarcus Cousins. Cousins has been one of the best centers in the NBA over the past 5 seasons, but has had no help in the frontcourt. This pick may change that, and in the process, give the Kings a 7-foot shooter who can space the floor and give Boogie room to operate in the post. Going to Sacramento will allow Porzingis to screw up, make mistakes, and learn from those mistakes. The team should and will give him time to learn the game, and if he goes to Sacramento, we will look back on this as a thoroughly solid pick for a rebuilding team. That play is the reason that I had him at 4 on my big board. A player with his hustle, work ethic, and motor will always have a place in the NBA, and while he just does not have a great jump shot, his defense will be his meal ticket to a successful NBA career. This is the type of player that new Nuggets head coach Mike Malone should love to have on his team; a player that serves as a great example to the rest of the Nuggets, the same ones who quit on Brian Shaw, and a player that can help change the culture to a losing organization. Johnson can step in as a quality stretch 4 who can play solid defense and knock down some threes. What is most important to the Pistons in this draft is protecting against a potential Greg Monroe departure, and while trading for Bucks PF Ersan Ilyasova helps in that regard, having an additional wing/stretch 4 can never hurt, especially considering that Tayshaun Prince is a free agent nearing the end of his career. Cameron Payne is one of the fastest rising players in this year’s NBA Draft, and people have come around to his game in recent weeks. Why? Because he belongs. Charlotte will take him here as another backcourt body as well as a good player to compliment Kemba Walker. This is a perfectly logical assumption to come to. But I doubt it will happen for one simple reason: neither of those players are 9th pick in the draft talents. They could possibly get to that point down the road, but they are both still risky selections. Payne can step right in and give Charlotte spacing, shooting, and shot creation right away. An added positive is that while he only stands at 6-2, his game allows him to play some 2-guard, which will allow him to get playing time even when Kemba Walker on the floor. He is a much better fit for this team than many pundits realize. However, this slip can just as easily be attributed to nervousness or simply misspeaking on air and not as a statement of fact. This may very well be an ignorant viewpoint, but I can’t visualize D-Wade in another uniform; I still don’t see him playing in a city not named Miami. However, no one ever saw LeBron James in a Heat uniform before 2010 either, so anything is possible. Okay, what’s the deal with Hassan Whiteside morphing into a circa ’01 Marcus Camby? Seriously? While Whiteside is under contract for next season, plays like the last one may temper Miami’s belief in his ability to maintain his composure at times. They can still bring in another center to push Whiteside in camp. Another center would also allow the Heat to see which player is better and worth keeping. This pick would set up a clear competition in which two men enter and only one survives long term with the organization. Finally, how could you refuse big Willie’s style and his wardrobe decisions? He even has his own clothing line, and if this is on it, I may invest. The Pacers may or may not need a big man this offseason. Roy Hibbert has a player option for next year, and Luis Scola is not under contract for next season.  This pick is also one that is made in the interest of improving the team on the offensive end. While the Pacers ranked tied for third in the league in points allowed last season (97), they were ranked but 24th in the league in points scored (97.3). If Kaminsky winds up in Indiana, he can develop a niche as a floor-spacing big man who can knock down threes and do some ball-handling as well. He is a player that is very smart and makes few mistakes with the basketball in his hand. He is maybe the most versatile player in this year’s draft, and can handle the ball and even create his own shot on occasion. However, he will struggle to defend NBA big men, a fact that was painfully obvious in the Title Game when Frank the Tank struggled to hold down Okafor in the post. His lack of explosiveness also hurts him in this regard, and more athletic bigs may take him to town. However, even though he basically is what he is as a player, he is a nice fit in the Pacers’ struggling offense. The Jazz are a team looking to potentially sneak into the playoffs next year in the still-stacked Western Conference, and this is a pick that can help them fortify their identity as a defensive, rebounding team. Little-known fact: the Jazz allowed the least points per game in the NBA last season (94.9). This team could become a poor man’s version of the Grizzlies of recent years, and having another big man in the fold will help them to realize this potential. Turner is one of if not the best rebounding big man in this year’s draft, and he also has a vastly improved jump shot and face-up game. He can get knocked around by stronger bigs in the paint, but his frame should fill out some. He is the obvious choice here. The place where there is clearly room for him to play is in Phoenix. He is a great fit here, where is excellent athleticism and his prowess in transition will help the Suns’ high-powered attack. The Suns played the third-fastest pace in the NBA last season, only trailing the two best teams in the West, Golden State and Houston. While Oubre needs a lot of work in most of the other areas of his game, he doesn’t need work here. Phoenix is a place where Oubre can go and maximize his potential. This is the one team in the lottery that he can go to and immediately flourish. Their high-powered offense and up-tempo system will maximize his strengths (athleticism, defensive potential, transition play) and minimize his weaknesses (feel for the game, jump shooting, consistency). This is the perfect fit for him, in all areas of the game. This is a team that has very few needs on paper. However, they would like to have insurance against another year or more of injuries to Kevin Durant. Not to panic Thunder fans, but the history of the NBA seems to suggest that foot injuries don’t go away, but foot injuries have largely occurred in big men (Bill Walton, Sam Bowie, Yao Ming). However, the Thunder were two different teams last season: the one with KD and the one without him. They were 18-9 when Durant played last season and 27-28 when he didn’t suit up. The Thunder were left to starting either Kyle Singler or Andre Roberson at that position without Durant. I feel that Dekker can and will be a better player than both of them, and can step in and contribute off the bench when Durant is playing. This is a team competing for a title, and they get to fill a need and draft a luxury, both in one shot. He shot 50% from three in the tournament, but turned in an 0-6 performance in the National Championship Game; his jumper finally regressed to the mean. That always happens to shooters that are mediocre or worse; they struggle to stay hot and their shot comes crashing down to Earth sooner or later. However, Dekker belongs in the NBA, even if his jump shot may hit the ceiling once or twice. He will be a role player to start, and could develop into a decent starter someday. Paul Millsap, DeMarre Carroll and Pero Antic are all free agents this summer. They probably should all stay in Atlanta, especially if the #1 thing they care about is winning. However, if the Hawks cannot protect all of them, and that is likely, Lyles is a safe, obvious choice at 15. Of course, the Knicks could trade down for him, but the Hawks could use his face up game and offensive versatility here. Lyles is a tweener defensively, and he struggles to guard bigger power forwards in the post. His best work on defense comes when he is guarding small forwards and wings, and if he can guard NBA wings with success, he can have a nice career. His frame needs to fill out to have success, especially on the glass, but he has the potential to get better and make a career for himself. Portis knows this is somewhat strange, telling reporters with a smile, “I am crazy.” But there’s no arguing with the results. His pre-game ritual certainly worked in college, as he averaged 17.5 points, 8.9 rebounds, 1.4 blocks and 1.1 steals as a sophomore at Arkansas. Not to mention, he shot extremely well from the field (53.6 percent) and three-point range (46.7 percent). The 20-year-old power forward is an interesting and versatile prospect. He studies Kevin Garnett, trying to mimic aspects of Garnett’s game and, most notably, his intensity. Yes. Kevin Garnett. While he does not have Garnett’s overall game, he does have the intensity of KG. His motor is something awesome, and he keeps plays alive with it. His motor aids him in making winning plays, those that make the razor thin difference between winning and losing. He also plays like Garnett with his faceup game. His agility helps him to take bigger, less spry defenders off the bounce, and his decent, still developing jump shot keeps those same defenders honest. His basketball IQ is also very high, and he makes the easy, simple play, which goes a long way in the NBA. Mark my words: Bobby Portis is going to have a long, successful career in the NBA. Don’t believe me? Just watch. Unprompted, Coach Cal compared Booker to one of the NBA’s ascending shooting guards, who just happened to win the NBA Championship on Tuesday night. Let me put this out here before the people reading this go crazy: He isn’t Klay Thompson. Sorry. He’s one of the best shooters in the draft, and he is the youngest player in the draft. (He will turn 19 on October 30th, which is around the time when the 2015-16 season will start). However, he will not gain added mobility with age, and his athleticism is not very good either. He can become a good player in the NBA, but he isn’t Klay Thompson. The Bucks need him for his offense and 3-point shooting. Even though they ranked 7th in the league in shooting from beyond the arc (36.3%), they struggled to score points (97.9 PPG, T-21st). These facts were painfully apparent in their first-round series against the Bulls, in which they shot 30% from 3 and failed to average 90 points per game. Milwaukee also has a good deal of cap room with the trade of Ersan Ilyasova, and they could be gearing up for a big summer in free agency. Don’t count out the possibility of the Bucks signing or trading for a marquee player, and possibly using Booker to do this. Booker will be a solid NBA player. His three-point shooting will help whichever team he goes to. But he isn’t Klay Thompson. However, Terry is in his contract year, and testing free agency once more is an option for Jet. Another option for him is to retire, which is also very possible. Wright gives the Rockets an NBA-ready point guard that can become a contributor right away off the bench. Wright’s most translatable skill to the NBA right now is his length and his defense. He also has a high basketball IQ and he got to the free throw line consistently at Utah. However, he is not quick or fast, and his jump shot needs a good deal of improvement. In the interim, however, Hollis-Jefferson will give the Wizards the gift of his outstanding athleticism and motor. For the Wizards, he can be an excellent role player, providing energy and effort off the bench for a team trying to take the next step in the Eastern Conference. He is also a very versatile defender. However, his jump shot can do a good deal of improving, and he needs to improve it to augment his athleticism and hard work both on the glass and defensively. The point here is that Jones has historically been a clutch player who has a history of winning. He is also an excellent passer who always gets the ball to his teammates at the right time, in the right place. Jones is also a good shooter, which always helps at the next level. However, he will have to rely on his jumper in the pros, as he will struggle to create his own shot. The lack of athletic tools limit Jones’ upside as well, and he will be a backup in the league for at least his first year in the league. This is a good fit for the Raptors because they are at risk of losing the 2014-15 6th Man of the Year award winner, Lou Williams, to free agency. Williams, a guard, is an unrestricted free agent after this season. They will definitely look to get him back, but will also take Jones on account of the possibility that he may not be back. I believe that Jones’ ability to create for others and shoot will make him a good player in the NBA. His very high basketball IQ will not hurt either, and this will give him a long prosperous career. The Mavericks need a little bit of everything is this year’s offseason, and they would like to have it in the form of youth. Harrell is a good place to start, as his athleticism, rebounding, and mobility, especially for a big man, are ready to be showcased at the next level. His defense could use improvement, and while his athleticism makes up for some of these errors, he could use improvement with this as well as his rebounding. The Mavericks were the oldest team in the league last season (average age: 29.5 years old) and they desperately need youth. Tyson Chandler and Amar’e Stoudemire are free agents. Dirk Nowitzki is nearing the end of his stellar career. Additionally, key bench player Charlie Villanueva is also a free agent. The point I’m trying to make here is clear: the team needs to get younger, in a hurry. Harrell is a player who, despite his mistakes, will be an outstanding energy big, especially for a team like the Mavericks, who are looking to win a title. His feel for the game and decision making can greatly improve, but going to a team like the Mavericks will help out his career a ton. The Bulls may very well need a backup point guard again this offseason, as Aaron Brooks is an unrestricted free agent and Kirk Hinrich has a player option. Rozier seems to be the logical choice in this spot, and the Windy City is a very good fit for him. Rozier is a high volume scorer who also has the ability to find open teammates. While is shot selection can suffer at times, his ability to create his shot is a very translatable skill for him going into his rookie season. Another skill of his is his defense, as he is a pick-pocket-er who will swipe the ball away from unsuspecting ball handlers. He is a sneaky good choice at pick #22. Think about this: the backup point guard on the Bulls has prospered every year since the lockout-shortened 2011-12 season. Players such as C.J. Watson, Kirk Hinrich, Nate Robinson, D.J. Augustin, and Aaron Brooks have all seen increases in offensive production. This is for one simple reason: Derrick Rose’s inability to avoid the injury bug, especially with his knees. If the Bulls take Rozier, remember his name; he could be pressed into more action than some would think. Will Love sign it? 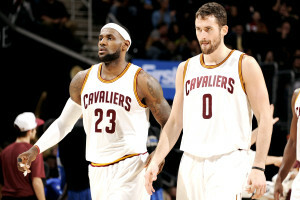 He’s repeatedly said that he intends to be with the Cavs next year and into the future. The issue is that almost no one in the league believes it yet, so he will be courted on July 1. Of all of the high-profile free agents this summer, executives still believe Love and LaMarcus Aldridge are the likeliest to be willing to change teams. There is no way on Earth that Looney will be able to replace Aldridge, assuming he leaves. However, he can give the Blazers defense, which, even though it ranked 12th in the league in points allowed (98.6), could use improvement, especially considering that Portland plays the Thunder four times a year and would like to win another division title next year. Their work will be cut out for them without Aldridge, however. The Cavaliers need some help for LeBron James. In Miami, the self-proclaimed best player in the world had shooters such as Mike Miller, James Jones, Ray Allen, Shane Battier, and Mario Chalmers to turn to when he was bottled up. Without Kevin Love or Kyrie Irving in the NBA Finals, however, there was little to no floor spacing with players such as Matthew Dellavedova and Iman Shumpert. They, along with J.R. Smith, hit some key threes, especially in the series’ first three games, but went cold in the last three games. Georgia State shooting guard R.J. Hunter will change that. He can shoot the lights out at times, and, although he is inconsistent, he can help the Cavs space the floor in some limited minutes off the bench. On the off chance that James Jones or Mike Miller leave, he can help to replace them. J.R. Smith also has a player option, and he may not be back either. 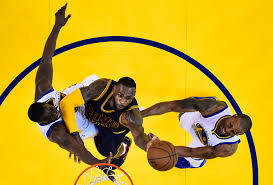 While he is thin as a rail and will get kicked around defensively, the jump shooting he provides is his greatest asset. He can be streaky as a shooter and will have some bad misses from time to time, but can really help the Cavaliers space the floor better than they did at times last year and in the NBA Finals. This is the easy choice here. The Grizzlies have not one but two aging big men in Marc Gasol and Zach Randolph. It also doesn’t help that Gasol is a free agent, and a prized commodity at that. With Randolph nearing the end of his career, it would help the Grizzlies greatly to have a backup power forward, especially if Randolph becomes susceptible to injury like he was in 2011-12. However, Martin is a far different player than the Grizzlies are used to having. Martin is a sick athlete that runs the floor in transition and makes spectacular highlight plays on a regular basis. Have a look at a dunk he threw down against Florida, in a college basketball game that counted. Martin’s athleticism is everything in his game, which is why his overall game needs a lot of work. His defense is extremely questionable, as is his effort at that end. His basketball IQ is not very high, and he is prone to ball watching on defense and taking tough shots on offense. However, he is a project, one that will allow Randolph to finish his career without looking over his shoulder. That isn’t too shabby. Players such as Scola, Barbosa, Udrih, Mahinmi and Dragic had to be let go because the Spurs simply didn’t need them. The team’s contract situation is also good, provided Ginobili and Tim Duncan decide to come back, which they most likely will. The rest of the team, with the exception of Parker, Boris Diaw and Splitter is also under contract, but few if any of the role players are likely to leave. This pick can very easily become what is known as a draft-and-stash pick, especially considering how interested San Antonio is in LaMarcus Aldridge in free agency. Milutinov is a solid jump shooter, especially from inside the arc, a good transition player, as well as a great passer from inside the paint. He is a typical Spur. However, this pick is not about what Milutinov gives the Spurs; it’s about what he doesn’t take from them; a roster spot. The Lakers have this pick from the Houston Rockets after last summer’s Jeremy Lin trade. They could go in a couple of different directions here, as this is simply a luxury pick with which the Lakers could fill out the roster. With Okafor already in the fold, they are likely to go with Virginia’s Justin Anderson, who will provide them depth at small forward just in case Wesley Johnson leaves in free agency. While Johnson had one of the best years of his career (out of necessity), he cannot be counted upon to do the same again due to the returns of Kobe Bryant and Joseph Randle and the Lakers’ #2 draft pick. Anderson can provide depth behind Johnson, even though he has stayed remarkably healthy over the course of his career. He has all the tools you want out of a “3 and D” prospect, but with some baggage as well. I think it’ll take a year of seasoning and learning the intricacies of an NBA defense, but it wouldn’t surprise me if he stepped in from day one and made an impact either. There’s rough edges, but he’s also a prospect with good size and athleticism and with NBA range on his shot. This sums up Anderson’s game perfectly. He can be a decent three-point shooter and rebounder with good athleticism. He needs time, but he could be a stealthily good choice for L.A. at 27. The Celtics acquired this pick in the Doc Rivers trade from two drafts ago. They don’t have very many needs this year, although Grant can fill a need that may not appear to exist, but still does. The C’s may very well be in need of a backup point guard. After trading Rajon Rondo on December 10, 2014, Boston was forced to use Phil Pressey as their backup point guard, and his real numbers and per 36 minutes numbers were not very good. The organization tried to assuage this need by trading for Isaiah Thomas at the trade deadline, but the team was only playing three guards consistently; Thomas, Marcus Smart and Avery Bradley. They could use a fourth guard, and specifically a point guard, to fill this need. Grant fits the bill perfectly. Grant is an excellent passer who creates for others by using his elite size and passing ability. He also has the ability to knock down some jump shots, but not with regularity. His defense is good and can even still improve a little bit. He will struggle to finish in the NBA, and will need to develop his jumper and range to combat this, but he is a good fit for the Celtics here. Alexander is also an excellent rebounder who moves very well for a big man. He also has grown-man strength, and uses in screens and back downs. However, he has a poor feel for the game and is extremely foul-prone on defense. He was also held out of action after February 23 after it was learned that his mother took out a loan for Alexander’s pro career, so there is not a ton of tape on him. However, the Nets will cross their fingers and hope for the very best on this pick. It’s all they can do. The Warriors have very few needs coming off their first NBA title since 1975. However, the Warriors are shopping David Lee, and there is a slim chance, but a chance nonetheless, that jack-of-all-trades Draymond Green leaves in free agency. McCullough is simply protection against this happening, and nothing more. McCullough has a tendency to run the floor, and he is very agile in transition. He can become a good shooter, especially as a face-up player. He fits the Warriors system perfectly; wide open, fast-paced and quick-firing. Where McCullough falls short is his defense, where he is not overly tough or physical, for that matter. His lack of strength hurts him on the glass and in the post. He will have to fill out to have a career in the NBA, but the potential is there. Also, he tore his ACL this past January, which is one giant red flag. 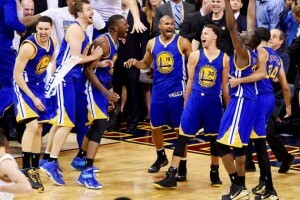 The 2014-15 Golden State Warriors are one of the greatest NBA teams of all time. There are a couple things to consider here. To start, both of those ’90s Bulls teams did not have the benefit a best-of-seven first round series. If those teams did have a best-of-seven first round instead of a best-of five, the ’95-’96 team would have won 88 games and the ’96-’97 team would have won 85 games. However, two things separates those Bulls from these Warriors: the conference they were in and what they did to their respective competition on their way to The Finals. In 1995-96 and 1996-97, when the Bulls won 72 and 69 games, respectively, exactly zero teams gave the Bulls trouble on their way to The Finals. One team won a game against Chicago in the 1996 Playoffs from the Eastern Conference: the Knicks. The Bulls went on to win those Finals in 6 games against one of the more underrated NBA teams of all-time, the 1995-96 Seattle SuperSonics. The Hawks and Heat each took a game from Chicago in the 1997 Playoffs, and Chicago would go on to defeat the Utah Jazz in 6 games in the Finals. Also Coach Kerr made the gutsy decision to limit the minutes of his two big men, Festus Ezeli and Andrew Bogut, because their presence was limiting the Dubs’ transition opportunities. Cleveland out-rebounded the Warriors in two out of the three games with the small lineup, but the Warriors played at a faster pace and got to 100 points in every game since the lineup overhaul. The bottom-line is that no one gives nearly enough credit to Kerr for the team’s turnaround this year. Think about this stat: the Warriors went from 51 wins to 67 wins in the Western Conference. Granted, there are other factors at play here that allowed them to make this jump (the fall of the depleted Thunder, the decline of this year’s Spurs, facing the Pelicans in the first round and not the Thunder), but that’s still very impressive. It’s clear that the difference was made in the offseason with the hiring of Kerr and the unpopular firing of Mark Jackson, who won 51 games last year and turned the franchise around. The team was first in offensive points scored at 110 and allowed less than 100 points per game defensively. They had the top points per game differential as well, at +10.1. This team was dominant on both ends. For context, the ’95-’96 Bulls’ differential was +12.3 and the ’96-’97 Bulls’ differential was +10.8. This being said, I don’t think these Warriors are as good as those teams were. A more apt comparison for them, as a young, potentially all-time great team with no previous Finals experience, would have to be the Bulls of 1990-1991. That team also scored 110 points per game and allowed 101, for a +9 differential. That team also played 9 players consistently, and was more similar to these Warriors than you might think. They played two bigs consistently, but they had comparisons to these Warriors. They had their Draymond Green (Horace Grant) and their Andrew Bogut (Bill Cartwright). However, the comparisons end there for one simple reason: we’ve never seen a team quite like the Warriors before. Chef Curry with the ring, boy. But let’s appreciate this year’s team for what it is: one of the best ever. 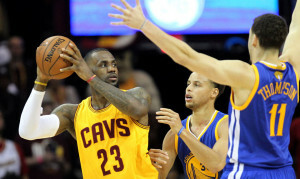 The Cavaliers wasted another brilliant LeBron James performance last night in Oakland, losing 104-91 to the Warriors. The game was a perfect demonstration of why the Cavaliers are about to lose these Finals, why LeBron James is the best player in the world, and why LeBron should be named the Finals’ MVP, even if Cleveland goes down either in Game 6 on Tuesday or Game 7 on Friday. One of the main reasons why the clear MVP of this series is LeBron is because there is no clear MVP from the Warriors. The team’s two best players in this series may very well be the league MVP (Steph Curry) and the series-altering addition to Golden State’s starting lineup, Andre Iguodala. Curry has averaged 26.2 points, 5 rebounds and 6 assists per game in these Finals; however, he was effectively shout down in Game 2 and for the first 3 quarters of Game 3 by Matthew Dellavedova. Iguodala has averaged 14.6 points, 6 rebounds. and 3.8 assists per game in the series, but has been +29 in the two games since being inserted into the starting lineup. James’ stats, however, are a different story. Per game, he’s averaged a meager 36.6 points, 12.4 rebounds, and 8.8 assists. While it’s true that his efficiency is at an all-time low, what other choice does he have? Exactly; he doesn’t. He has to put the team on his shoulders, and that he has and that this series is still going is simply amazing. All credit to the Warriors and Curry for stepping up after a demoralizing loss in Game 3. They have been a different team since going down 2-1 and putting Iguodala into the lineup. However, it’s becoming increasingly obvious that the Warriors depth is winning out against Cleveland, who is still only playing eight a game. However, they made a change last night in playing Timofey Mozgov, their best player in Game 4, for only 9 minutes in Game 5 compared to 33 minutes in Game 4. It’s profound. It’s bold. It’s mic-drop worthy. Most of all? It’s true. LeBron James is the best player in the world; that simple. He’s the best player in this series. He should be Finals MVP. In the first three games of this year’s NBA Finals, the Warriors looked like they didn’t have the mettle and toughness to win a title and dethrone the king. They were getting beat by the Cavaliers’ tenacious defense and being clowned defensively by LeBron James, who was averaging 41 points per game in the series. Matthew Dellavedova was causing fits on defense, particularly to MVP Stephen Curry, who shot just 32% (11-34) in those three games; however, with the exception of the fourth quarter of Game 3, he was just 23% (6-26). Klay Thompson was also shooting 32% (9-28). However, this all changed in last night’s Game 4. James scored just 20 points on 7-22 shooting, and while the combination of Curry and Thompson combined for only 31, it was a lineup change by coach Steve Kerr that made the difference. He took the floundering Andrew Bogut out of the starting lineup and inserted Andre Iguodala, who had started every game of his career until this year, which saw him come off the bench every night. He scored 22 points, grabbed 8 rebounds, and was very possibly the best player on the floor, outplaying King James. Warriors kept saying their depth wd b plus. It finally was in this 4th quarter, even on a night their starters took heavier than usual load. The combination of their depth along with their effort and hustle allowed them to pull away in Game 4 and tie the series. However, it’s obvious: if the Cavaliers continue to play 7 players, then those seven players are going to have to play really, really well. While the rest of the Cavs have actually played pretty well in this series, especially Dellavedova, only two of their players played very well last night: their two big men, Tristan Thompson and Timofey Mozgov. And part of their success was the game plan of the Warriors that allowed them to get their points against a smaller, quicker lineup that could make plays at the other end. The Dubs’ defense double-teamed James, especially in the post, and this, combined with the smaller lineup, created mismatches with Cleveland’s bigs. The bottom line is that everyone on the Cavaliers was tired last night. The extra day off before Game 5 on Sunday is absolutely a must, and they have to get their legs back between now and then. If they don’t, they won’t be able to pull out the miracle and beat the Warriors. However, one thing is clear after last night.